Saffron Tree: Wrapping up CROCUS 2009! As our first annual children's blog-book festival, CROCUS 2009, draws to a close today, it is certainly an appropriate time to indulge in a little reminiscence. From an abstract concept to hosting some kind of a blog-book festival to foster the love of reading - the seeds for which were sown in our collective minds last spring - to diving into the concept for a theme as Around the World in Seven Days, this past summer, and then to hand-pick books to review this fall, indeed, CROCUS was planted and harvested together as a team. Truly, what fun it was to come together and plan for CROCUS 2009! Literally, like kids flocking a candy store, the team rushed to the bookshelves in their homes; whisked to their local libraries; shopped at brick and mortar as well as online bookstores to bring you the unique selection of books that we reviewed for the festival. We skipped, hopped, jumped, glided, and slid from one continent to another to present you an array of native tales and contemporary stories. We had one in-house crossword contest - CROCUSWORD, 26 exclusive reviews of multicultural children's books, and two author interviews. Like a box full of chocolates, we presented reviews of an assortment of diverse tales from different continents representing many different cultures of our world. Together with our readers, we eagerly scrolled from one review to another and interviews, to gobble up every chocolate...err...word that was blogged during CROCUS 2009. We devoured the books for the beautiful cultures they represented. Through the stories, we also celebrated the wonderful voices of authors and illustrators for sharing them with us and our children. Despite the diversity in our world, through these stories, we realize that fundamentally human emotions are the same across cultures. Human instincts/appetite for story-telling and finding narratives for life to help pass on valuable messages to children, remain awe-inspiringly similar across cultures of the world. Appreciating multi-cultural stories helps validate our cultural differences, while highlighting the similarities we share as human beings. In that, it carries the seeds of peace, as we and more so, our children, come to live closer each day with the different communities of our world. Well, now it's time for our heartfelt thank yous as we wrap up CROCUS 2009! We at Saffron Tree, would like to thank each and everyone for their time. We greatly appreciate the wonderful comments and emails we received from several people showing their support for the festival. "Whoever you are, Wherever you are, together, let's pass on the love of books, stories and reading, to children everywhere!" Have a great weekend everybody! Thanks again!! 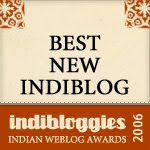 www.professionalstorytellers.ning.com, I believe they should see Saffron Tree..
A very well written wrap up for the curtains down on CROCUS 2009 !! SSS - Thank you so much for your thoughtful comments all through CROCUS. We have loved hearing your thoughts. Thank you so much for the link. We'll check it out. We all know traditional oral folklore is almost an extinct form of art. Your work as a story-teller is inspiring to us. We would love to touchbase with you, and learn about your work sometime soon. Thanks, once again! @Boo - It's always fun to read your comments! Thanks to your hi-energy comments - really, makes feel positively charged instantly!Please keep visiting us. Clap clap clap-Great job guys. A well planned event executed to perfection. Three Cheers to Saffron Tree .... Hip Hip Hurray !! Excellent reviews for the past few days ! A big salute for the rest of ST members. From my part, I know that I didn't do much other than to write reviews. You guys did all the conceptualization and ground work. Wonderful sentiments, great recap, absolutely inspiring! Thanks, Praba! Lovely post - have a warm feeling now, simply beautiful Praba ! I had such a fabulous time with Crocus 2009! @UTBT - hi-five! Your positive energy is infectious on ST! @LAVS - Thank you for stopping by regularly. Your comments definitely will keep us motivated! @Poppy - same here. Had a wonderful time with you and how neat we have you on the team! Great summing up P! Thanks! Wish ST many more CROCUS-es! @ M - thank you! @ Katia - Wonderful to see you again. Your interview made the event all the more special. Thanks again. Best wishes from all of us! a week late in my comment - but what the heck, it was such a blast, wasn't it :) thanks Praba & team for the brill idea and getting the rest of us inspired and involved.